The trifecta is one of the most popular betting types available on the TAB and can pay some really impressive dividends. This article discusses some common trifecta techniques that can help snare that elusive result or two. Trifecta betting has been around for a long time now and is one of the most popular betting types available on the TAB. This bet type allows you to capitalize on your skill to not only select first, but second and third in the one bet. The trifecta in its early days paid very handsomely. Now long gone are the days of the massive overs result and huge dividends in ordinary races. Too many punters in modern racing are using computer programs to stake trifectas and as a result much of the 'fat' has been squeezed from the dividends. Dividends can still pay large four figure payouts, especially when a roughie rolls into the Quinella. The average punter should always have those potential collects on their radar. This little article covers the popular approaches to trifecta betting along with tips and strategies to snare some nice results. Trifecta betting is available on any racing event with three or more runners - for horses, harness or greyhounds. Just pick the first three placegetters in the correct order and sit back and collect - sadly not so easy but that is it in a nutshell. There is little more to the basics of the trifecta, but as they say, the devil is in the details. The simplest trifecta is a single trifecta, e.g. 1 / 2 / 3 taken on one 'ticket'. The term 'ticket' is used in this article but in modern online betting there are no flashing lights or coins dropping when either betting or winning with often little more than a receipt number to show for the wager - your winnings benignly returned to your account some minutes after the event. Still who needs flashing lights after a big collect? For success in the 1/2/3 trifecta, number one has to win, number two must place second and the number 3 must finish third. Any other combination (viz. 1/3/2, 2/1/3, 2/3/1, 3/1/2, 3/2/1) will leave you, as they say, holding the ticket. Single trifectas are mainly taken in small fields or when staking a series of bets. Any combination of runners can be taken for any amount in trifecta betting. 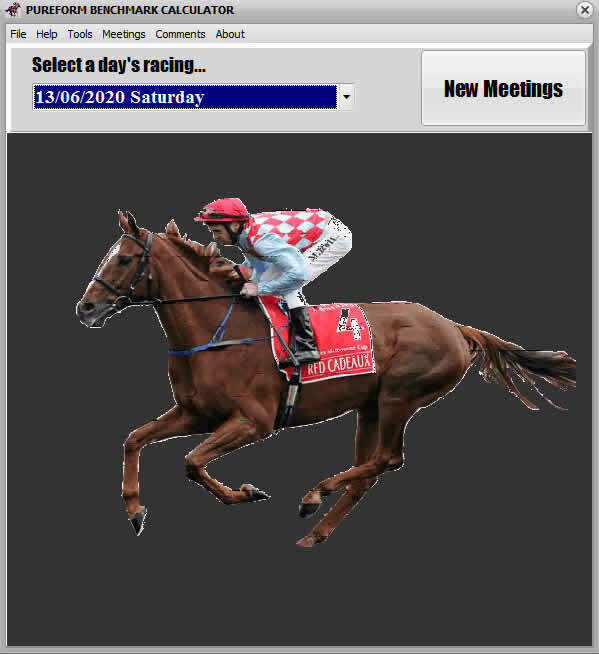 There is no need to take any runners in any particular placing and is completely dependent on your skill as a punter to select the runners in the correct order. Generally the best approach for multiple trifectas is to take some runners for first along with further runners for second and third (including the first selections for the other two placing's). Some races do have competitors with that minimal winning chance and so why take them to win? Sure enough one of those meager place chances wins the race and you miss the trifecta - that's racing and you need to be smart to avoid selecting the correct placegetters but still missing the trifecta. The next obvious wager in this series of trifecta bets is the Standout Trifecta. A standout trifecta puts one runner in as the potential winner combined with a series of other runners for second and third and can be taken as a single wager on the TAB. Recent changes at the TAB now allows flexi bet on any multiple wager. Effectively any multiple bet can be taken for a fixed dollar amount instead of a unit amount. The following table (and the other tables in this article) shows not only the total combinations but also includes the cost for a $1 unit and the percentage of that bet if taking a $20 flexi bet. Larger or smaller dollar amounts can be taken. In an eleven horse field, a standout wager taking one runner to win and the field (the other 10 runners) for second and third costs $90 (for a $1 unit) with a $20 flexi bet netting 22% of the $1 wager. Not a bad way to go if you expect a roughie or two in the placing’s (and can pick the winner). The other figures are shown in the table. A standout bet can be taken with a few selections or the field. A field Standout Trifecta is equivalent to a win bet but will most likely pay different odds – an interesting wager to taken when the potential winner is short priced. So let’s say there’s an odds-on favourite in an eight runner event. The odds-on favourite is paying $1.60 and so a $20 win bet will return $32 for $12 profit. The same $20 flexi-bet standout trifecta will return 48% of the $1 trifecta dividend. The trifecta only has to pay around $66 for the same return making the standout trifecta a real alternative for a better profit margin. The next wager to consider is the ever popular box trifecta. The box trifecta is one of the safest trifectas to take. This bet type takes all combinations of the selected runners on the one 'ticket'. It is a very easy way to bet and can pay quite handsomely (assuming the top three in the market underperform). If you take a box 3 trifecta and flexi bet for $20 and are successful, you’ll get slightly more than three times the $1 dividend. Nice result if you can pick the placegetters. At the other end of the scale boxing 24 runners will give you only around 0.2% of the final dividend. By the way, the other rule for flexi-betting with the TAB is that a minimum of 1% of the $1 bet total must be wagered for each combined bet. A larger amount therefore needs to be outlaid for box trifectas of 13 or more runners. Everyone has a wager in the Melbourne Cup, the premier racing event on the Australian horse racing calendar. For slightly more than $100 you can box all the runners in the 24 horse maximum field and guarantee yourself around 1% of the final dividend. The beauty of a field trifecta is you’ll get a collect. The box 24 trifecta however must pay more than $12,144 for you to make a profit. Possible, but unlikely. For a little more than $100 however you can tell your friends you picked the Melbourne Cup trifecta (even if it does result in perhaps 70% loss) – just leave out the part about boxing the field. Purchase a copy of the book Horse Racing D Thru’ M for more information on selecting the Melbourne Cup trifecta. While you’re at it, why not for that $100, box the field in the Caulfield Cup (18 runners for about 2% of the final dividend) and the Cox Plate (14 runners for almost 5% of the dividend). Anyone would be impressed by a punter that was able to get the Caulfield Cup, Melbourne Cup and Cox Plate trifectas, all in the same year! So why is a box trifecta a safe bet? There are no safe bets and there is no certainty in racing, rule number one. Safety is inbuilt simply by taking all possible combinations and not missing a collect if the wrong horse wins or runs second or some other tricky combination of your numbers. Pick the three placegetters and you get a collect. Say you like runners 1 3 5 7 and you decide to take 1 and 3 to win and couple up the bet with numbers 5 and 7 for second and third. Sure enough the race runs and number 7 wins from 3 and 1. The correct runners were selected but in the wrong order. Boxing the four runners will eliminate this potential error. Of course it costs more but that is life – certainty does cost more (well at least more certainty). The next trifecta type to consider is the Roving Banker. A Roving Banker Trifecta can be taken as one bet on a single ticket. At least one horse is taken as the banker with some combinations to fill the other places. The wager is successful if the banker or bankers finish in the first three along with one or two of the other selections filling the other placing’s. All the following comments apply when taking one runner as the banker with a series of other runners. Coupling one runner as the banker along with 5 others (which is a total of 6 runners from the table) will cost $60 for a $1 stake with a $20 flexi bet collecting around 33% of the final dividend. The one runner roving banker is a great bet if that single selection appeals as a likely placegetter but maybe not winning (a standout trifecta may be more profitable if the selection appeals as the winner). A series of runners or the field can be taken to complete the trifecta and again will be successful if the banker places along with two of your other selections. Taking the field in a one banker roving banker trifecta is equivalent to a place bet on that same selection but again will pay different odds. Unlike the place bet, the odds will be unknown before the race. For example, you like a runner that is paying even money for the place ($2) and plan to bet $20 to place. In an eleven runner field, the same $20 flexi-bet on a one runner roving banker trifecta will yield slightly more than 7% of the trifecta dividend (see the table). So where is the breakeven point? When is it better to take a trifecta and when is it better to take a place bet? The final column in the previous table shows the minimum trifecta dividend for the same even money payout. A $20 place bet at $2 will return $40. A $20 flexi bet one banker roving banker trifecta in an eleven runner field has to pay $540 to pay the same return as that place bet. So the race runs, your even money place bet runs second with the favourite winning and the second favourite running third – the trifecta still pays a healthy $160 – you only get a return of around $12 and actually lose $8. Instead of collecting $40 from the place bet, the return is only $12. At the other end of the scale, the even money placegetter runs second with a $51 winner and a $34 third placegetter. The 7% return is then perhaps $300. The same roving banker trifecta in a 24 horse field has to pay $3,036 to get the same double your money return. Just for interest consider the same calculations for a $1.30 place chance. When banking on a $1.30 placegetter, the trifecta in the eleven runner field must pay around $350 to be equivalent to a $20 place bet (that is to return $26 in total). As can be seen from these examples, sometimes a place bet is more profitable than a field trifecta, sometimes not. It all depends on the runners in the race and how successfully you’ve calculated the likely result. The strength of the one banker roving banker trifecta is that only one placegetter needs to be taken and can be coupled with the field. The weakness when taking many runners is the high cost. A two banker roving banker trifecta requires the two bankers to finish in the placing’s along with one of the other selections to fill the missing placing. The following table shows combinations for the two banker roving banker trifecta. The two bankers must finish in the placing’s along with one of the other non-banker selections to successfully complete the trifecta. This is another useful wager when two runners looks fairly certain to finish in the placing’s and is a cheaper way of taking a trifecta. In the same eleven runner field, the two banker trifecta yields 37% of the final trifecta dividend (compared with only 7% for the one banker trifecta). The main problem with the two banker roving banker, as with most wagers, is picking the two placegetters. A two banker roving banker trifecta with the field is equivalent to a Duet bet on the two banker selections. The final trifecta technique discussed in this article is the Quinella Field for Third. As the name suggests the Quinella Field for Third consists of taking two runners for first and second and then a series of runners for third. The Quinella requires the two runners to finish first and second in no particular order. This trifecta extends the Quinella to include a third runner with, hopefully, the option of a massive collect. Successfully select the Quinella in an 11 runner event and the field for 3rd will give 91% of the trifecta dividend for a $20 flexi-bet. Other combinations are covered in the table. Once again it is a matter of choice as to which is a more effective wager. $20 on the Quinella or taking the Quinella Field for Third Trifecta. Imagine a race with 11 runners again with the Quinella set to pay $20 for a $1 dividend. Betting $20 on the Quinella will return $400 and is a nice result. The same $20 bet as a flexi bet Quinella Field for Third Trifecta will return 37% of the trifecta $1 dividend. The trifecta has to pay more than $1080 to give the same return. Almost certainly taking the $20 Quinella in this example is a more profitable bet. At the other end of the scale, the likely result is the favourite beating the second favourite with the Quinella only paying around $4. The same $20 bet on the Quinella will return $80 and given the 37% for the trifecta dividend must pay over $210. The Quinella again appeals as a better wager. For completeness, the following table outlines costs for this bet type. There are many strategies to apply to trifecta betting and the particular strategy often depends on the makeup of the event in question. No point taking a roving banker with the field if the likely result is an odds-on favourite winning from the second and third favourite. This is of course a very unlikely event but you can understand the point. Consider the makeup of the event and tailor the best trifecta for that event.